Hello from the U.S.! I'm pregnant with a boy and due on September 17th!! Getting so excited!! 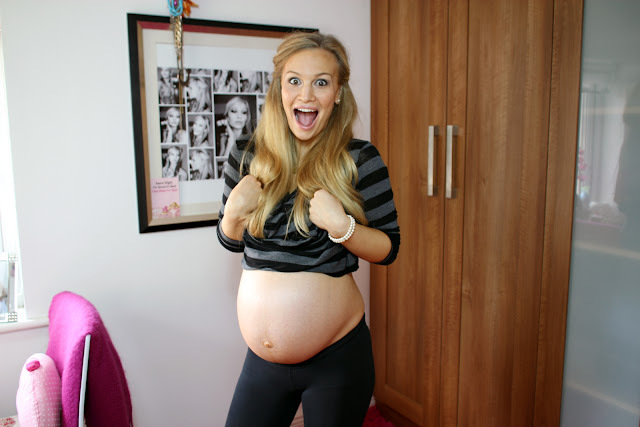 I've been following your progress throughout your pregnancy, and it's been so much fun comparing week-to-week!! Just wanted to post and tell you good luck with your labor...I don't know about you but getting so nervous!! I'm definitely ready though :) here's wishing you a fast and easy delivery!!! Drink raspberry leaf tea. Get it from health food stores. You can only have it after 36 weeks as it can bring on labour. It softens your cervix to help with delivery. I swear it brought my daughter 6 days early! mother of seven,leave baby alone,she'll come when the times right, best of luck to you in your labour, my advice is, when in labour, wait for the next pain, it's one more pain you don't have to do, and one. closer to seeing your baby.